SUPER LOCAL STORIES is a series of small format performances resulting in collaborations between South African and German artists curated by Constanza Macras within the frame of the three-years project SPACE TALES: FUTURE CITIES, initiated by Constanza Macras | DorkyPark and funded by the TURN Fund of the German Federal Cultural Foundation and the Goethe-Institut South Africa. 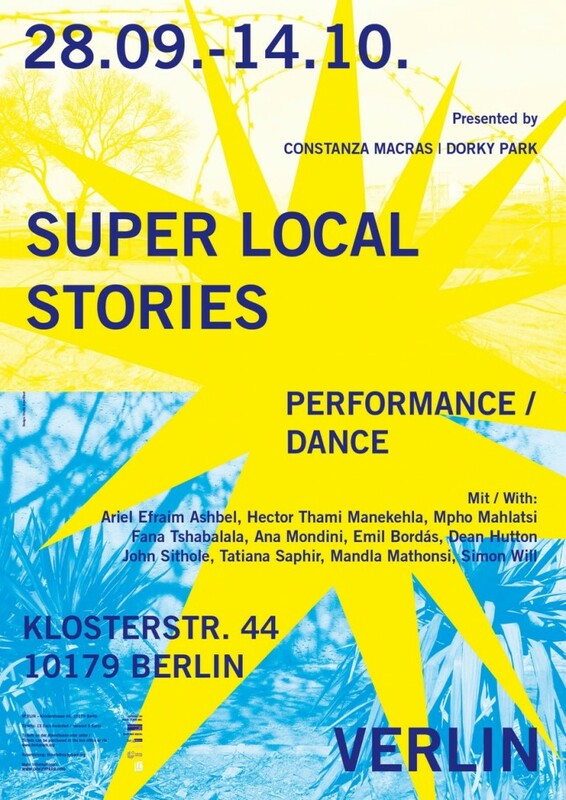 The performances from the SUPER LOCAL STORIES series were developed during the cycle from artistic residencies, which took place between 2016-2018 in Berlin and different areas of Johannesburg and its outskirts, mostly in townships and semi-rural areas. The performance function as different chapters of a single series, relayed to one another as landmarks in the city. SUPER LOCAL STORIES engaged South African and German artists coming from different disciplines, aware of the contemporary dialogue between performance arts and performing arts. Their artistic proposals deal with different aspects of the topic: architectures of exclusion: diasporas, migrants and xenophobia. Their narratives focus on fictional, documentary and futuristic approaches. This meeting/talk/salon/hang will be a conclusion of our time in Johannesburg which consisted of walking, talking, eating, drinking, thinking and watching youtube videos. 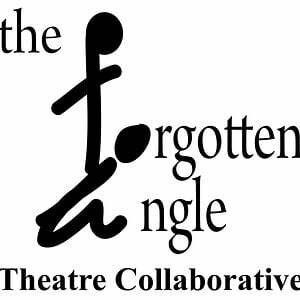 We will share not the “results” of that working period but another step in the process, dealing with our possibilities of Bringing the outside inside, wanting to make an environment in the theater rather than making a show. Instead of memories we offer observations, instead of confessions – sensations. To enhance the sensorial aspect and informal vibe, we invited Mpho Mahlatsi to join our conversation, cooking thoughts and (vegan) food. The meat on our bodies is burned so they decided to go on vacation; from producing meaning and from being human, from being one/self. Letting go of identity and identification, we carve out a space for relationality and imagination. Breathe. Goldendean invites you to catch breath, bubbles, and feelings around a mound of red sand. This work is part of evolving performances by a genderqueer trans media artist whose work provokes dialogue about the gaze, queer bodies, love and social justice. Embodying the avatar – a hybrid, or manifest shape of a deity or a teacher come to earth – a painted golden figure hewn from minerals pillaged from the land, personifying the binaries of taste and value. They are simultaneously seductive and silly, exploring the fascination with the flesh, and the problematics of the hypervisible Fat Queer White Trans Body. Our gaze cannot help but devour Goldendean – they gleam and glamour us, inciting a frenzy of gold lust, gold fever and golden showers. If Alexandra was to have its own Soapie what would such a Soapie be called? Who would be the main characters? And what would be their destiny? These are the questions that group of artist have been asking the residents of Alexandra as a research for a possible future soap. The kind of Soapie that shows Alexandra as it really is, with all its diversity and richness, its unity and complexity. A Soapie that stars the community and reveals their energy and their stories. A God created the world, the artists have been meeting, talking, having fun and dancing with the local people In just 7 days. The results have some surprises that play with cliches and expectations,they will be presented in a series of short films mixed with live conversations with the audience.